Zylofon Music recording music artiste and frontier of the Shatta Movement – Shatta Wale teams up once again with his SM Militants to lit up the music scene. 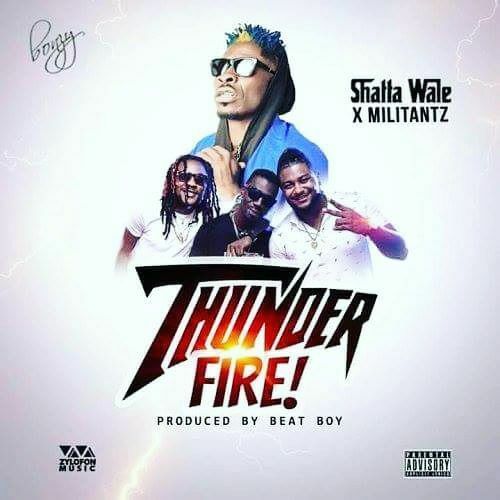 They christen this potential hit song “Thunder Fire” , produced by Beat Boy. We know for sure a Shatta Wale and SM Militant combo never goes wrong. Kindly take a listen below and share your thoughts with us.